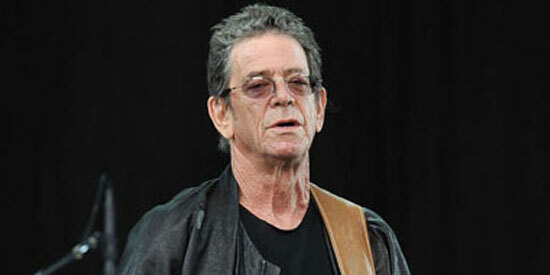 Lou Reed had a profound impact on American culture, introducing rock and pop art to mainstream music. His work with Andy Warhol is also hailed as one of the most important collaborations ever. Lou Reed died earlier today (October 27, U.S. time). The legendary musician, best known for his work as guitarist, singer, and songwriter for the Velvet Underground, passed away at the age of 71, six months after undergoing a liver transplant in May. Following his surgery, Lou assured fans on his website that he felt "bigger and stronger" than ever before, but he was rushed to a hospital due to complications stemming from it in late June. The cause of the influential rocker’s death has not yet been confirmed, according to Rolling Stone magazine. The "Sunday Morning" hitmaker was well known for trying new sounds, once recording a two LP-set called "Metal Machine Music," which consisted entirely of grinding guitar sounds. Reed had a profound impact on American culture, introducing rock and pop art to mainstream music. His work with Andy Warhol is also hailed as one of the most important collaborations ever. The Velvet Underground, who only enjoyed limited commercial success in the 1960s, but became hugely popular in subsequent decades, were inducted into the Rock and Roll Hall of Fame in 1996. Reed was previously married to British designer Sylvia Morales for a decade until the early ’90s, and then married musician-performance artist Laurie Anderson in 2008 in his native New York City.